Researchers at Massachusetts General Hospital and Harvard University has shown, using fMRI brain scanning technology, that eight weeks of MBSR training leads to thickening of a number of different regions of the brain associated with learning and memory, emotion regulation, the sense of self and perspective taking. They also found that the amygdala, a region deep in the brain that is responsible for appraising and reacting to perceived threats, was thinner after MBSR, and that the degree of thinning was related to the degree of improvement on a perceived stress. Mindfulness helps protect us against emotional exhaustion at work and at home. Anxiety, stress, depression, tiredness and irritability all decrease with regular meditation.Working memory and creativity improve, reaction times are faster, and mental and physical stamina increases. In short, those who practise mindfulness regularly are happier and more contented, and are far less likely to suffer from psychological distress. 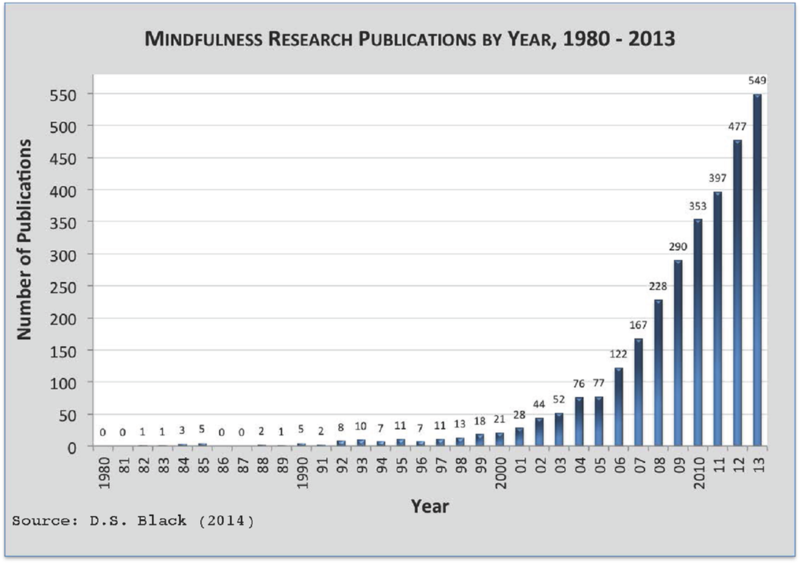 An emerging body of research is demonstrating the links between mindfulness and performance across a number of tasks. Mindfulness contributes to performance by improving cognitive flexibility and alertness, and guarding against distractions and performance blunders. In the work environment, mindfulness has value not only by increasing engagement, but also in focusing attention. Mindfulness improves emotional intelligence and the ability to understand and handle one’s emotions. Increased Physical Wellbeing Mindfulness can dramatically reduce pain and the emotional reaction to it. Recent trials suggest that perceived pain ‘unpleasantness’ levels can be reduced by 57%, while very experienced mindfulness practitioners report reductions of up to 93%. Meditation improves heart and circulatory health by reducing blood pressure and lowering the risk of hypertension. Mindfulness also reduces the risk of developing and dying from cardiovascular disease, and lowers its severity should it arise. Clinical trials show that mindfulness improves mood and quality of life for sufferers of chronic pain conditions such as fibromyalgia and lower-back pain, in chronic functional disorders such as IBS, and in challenging medical conditions, including multiple sclerosis16 and cancer. Meditation enhances brain function. It increases grey matter in areas associated with self-awareness, empathy, self-control and attention. It soothes the parts of the brain that produce stress hormones and builds up those areas that lift mood and promote learning. It even reduces some of the thinning of certain areas of the brain that naturally occurs with ageing. Better ImmunityMeditation improves the immune system. Regular mindfulness practitioners are admitted to hospital far less often for cancer, heart disease and numerous infectious diseases.